The story of Joel Spence, by his mother Anne. Jan 1st 2005 was when my husband, family and I got told that Joel had acute lymphoblastic leukaemia (ALL). Joel was so very poorly at this point, and we didn’t know whether to cry with relief because at last we knew something was wrong with him, he was rushed to Queen’s medical centre. I always remember thinking to myself I would wake up in a short while, and that it was all a dream, but sadly later that day we were going to be another number on a children’s oncology ward. As we entered the ward I remember seeing a little boy about 4-5 years old. He was sat on a bike rigged up to a machine giving him medicine; he had no hair and a sick bowl in one hand, but the most amazing smile I have ever seen. Later that day the doctors said about what would happen from now on, regarding Joel’s treatment. We were in shock at how long it would be. There would be more than 3 years’ worth of treatment for my little boy to go through, with chemotherapy every day until the day the treatments ends. The doctors asked me if I had any questions and the only thing I asked was if his hair was going to fall out. Now looking back I feel silly for not asking things like “will he be ok?” or “will he die?” But no, I asked “will his hair fall out?” We were told it would but not to worry has it would take a few months. I looked at Joel fast asleep, in a big bed with him so tiny and held his hand. I cried a cry unlike any other I have ever cried in my life. It was similar to when you’re a child with snot and everything flowing with it because I was so scared. No-one could make this better or go away, and no one could really tell us at that point Joel was going to be ok. It was overwhelming. Time went on, and Joel did his nasty chemo suffering infection after infection, but by the end of 2005 we were told Joel was in remission!!! What a great Christmas we had. 2006 was a fabulous year; he was back at school, his hair was back, and the fact he looked like every child at school other than having a set of wiggles and a wiggly bag around his neck we was great! In May 2007, Joel became so lifeless again with bad heads and being sick all the time. We spent May, June and July in QMC then on July 13th we were told the cancer was back in his spinal fluid, but not his bone marrow; that was clear. 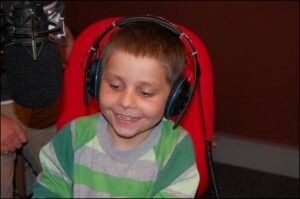 Joel had to go through more chemo, which was much nastier then the first lot of chemo and this made Joel tremendously ill. His bowels stopped working, he couldn’t eat or drink for weeks, and he was on morphine all the time by pump, yet despite this he always had a smile on his face. As we were in hospital for so long, Joel made lots of friends there, (Reesey, Stephie, Will, Carrie) and we suddenly found we had a new family. Joel called it his hospital family, as he was there more than he was at home. His brother and sister stayed at weekends and Mondays – Friday was Joel and me. We formed a very special bond as we were together 24/7, but I wouldn’t have had it any other way. Joel’s sense of humour came out every day and made me and everyone around him laugh. He had nicknames for people on the ward which he made up but we laughed so much about it. He would call one of his nurses “Minty” has her surname was Lamb; and the “Don’t know” doctors, because if he asked them when he was going home they would say “Oh, I don’t know Joel” . His hair came out again but this time he made a laugh and a joke about it, he called it his magic hair as one day it was there and the next it was gone “see mom it is magic!” he would say. In April, we were walking to the car after school when Joel said “mum, my legs really hurt a lot and I can’t walk anymore” I knew then what it was and took him in to QMC that night. They gave him an x-ray and found nothing, but an MRI scan which showed everything and he also had a lumbar puncture. Our worst fears were confirmed, it was back. 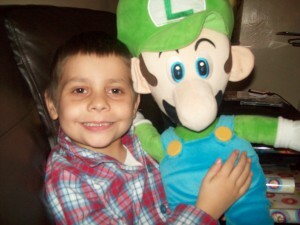 This time it was more aggressive and nastier than ever and our only chance was for him to have a bone marrow transplant. We as a family got tested, but sadly none of us were a match, so we had to look on the Anthony Nolan register, and we thank God that some kind person joined the register that was a 100% match. From there we thought he was at last going to beat this, but on September 28th we found out Joel was not in remission from his bone marrow transplant. This meant there was nothing they could do for Joel, so that weekend, the whole family brought forward Christmas, and his 7th birthday as well. We had everything for Christmas; the tree, trimmings, Santa, a snow machine, the works. We wanted to make sure neither Joel nor us would ever forget. For his birthday we had a disco with all his friends and a fire engine ride for him. 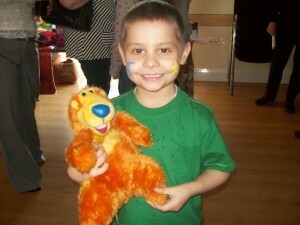 On October 29th Joel went into hospital as his face had dropped on one side and he was in so much pain. We just couldn’t control the pain. In hospital they made the pain go away and he spent his last weeks drawing, painting and being funny. 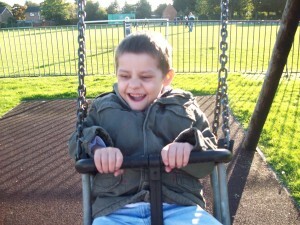 Joel died on the 10th November 2008, after a very painful day.